Social Justice Fund NW is a member-funded foundation that supports the creation of a just society through fundraising, grant making, and member involvement. The foundation provides essential resources to organizations in Idaho, Montana, Oregon, Washington, and Wyoming to strengthen grassroots efforts in the broad-based movement for progressive, systemic social change. If you’ve been feeling overwhelmed by bad news these days, this job would bring you a steady stream of good news and inspiration. You’d be supporting passionate, courageous volunteers from a wide range of backgrounds as they learn to put their values into action and transform themselves in the process. 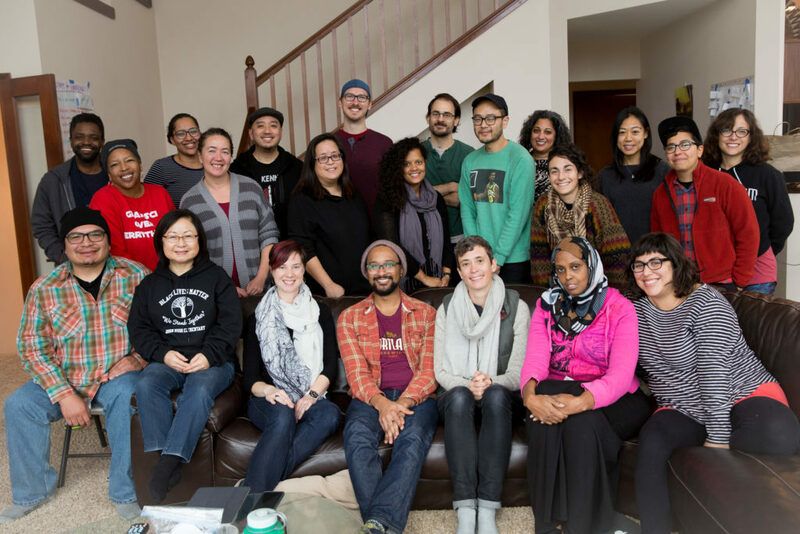 At the same time, you’d be learning about and directly supporting some of the most amazing grassroots organizing in our region, as your program would move much-needed general operating funds to movement organizations across the Northwest. This is a full-time, exempt position based in our Seattle office, reporting to the Executive Director. This is not a new position, but it has recently been restructured (another new director-level position, focusing on the grant making aspect of our programs, will work in close collaboration with the Program Director). You’d work with an amazing team of smart, dedicated, and fun individuals. We strive to live our organizational values of anti-racism, democracy, and transparency everyday. Our organizational culture is collaborative, relational, and flexible, and we are always learning and improving upon our work. Please email your cover letter and resume to hr@socialjusticefund.org. In your cover letter, explain why you believe it’s important to fund community organizing strategies, and what particular strengths you’d bring to that effort. Demonstrated commitment to social justice issues and a strong social justice analysis. Minimum 1 year supervision experience: demonstrated ability to train, manage, and support multiple staff. Minimum 1 year involvement (either paid or volunteer) in an organization that uses community organizing as its primary strategy. Program planning experience: demonstrated ability to create and execute a program that meets expectations, devise and implement systems, evaluate and improve, and coordinate with other departments. Project management experience: demonstrated ability to coordinate a team of people, who are working on multiple projects in different stages, to meet programmatic goals. Facilitation skills, including working with people from diverse backgrounds and working with medium to large groups. Ability to quickly build strong relationships with members and grantees. Ability to motivate and engage volunteers and build a strong, functional team. Fearlessness about asking – for money, time, etc. Strong communication skills, including active listening, receiving and giving feedback, and communicating across teams. Willingness to work frequent evenings and weekends and travel occasionally. Computer skills including Microsoft Office and databases (eTapestry a plus). Experience with SJF members and/or grantees. Experience developing and leading workshops and trainings, preferably with an anti-oppression focus. Experience with curriculum development, popular education, adult learning, or facilitation of diverse learning styles. Experience in fundraising from major donors, foundations, or businesses. Expertise in any of the required qualifications, with the ability to train others in those areas. Supervise five full-time staff who implement the program in Seattle and Portland. Identify and respond to staff training needs. Plan and direct all programs, which mainly consist of six to seven Giving Projects and two major events a year, all of which are directly led by other program staff. Work with staff and volunteer leaders to evaluate, improve, and implement Giving Projects. Support other program staff with management of grant cycles and grantee relationships. Participate in the national Giving Project Learning Community, and in other social justice and philanthropy networks when possible. Represent SJF at events in the community. Help program staff with recruitment for Giving Projects and outreach to prospective grantees. Coordinate with other Directors to collaborate across departments. Contribute to project-specific foundation prospecting and grantwriting. Other related tasks as identified by the Executive Director. Social Justice Fund is an Equal Opportunity Employer. People of color, LGBTQ individuals, and women are strongly encouraged to apply. We actively recruit, and support the retention and advancement of, persons of diverse backgrounds within the organization. We believe that having a board, staff, and membership with diverse identities and backgrounds enhances our ability to meet our mission and creates a vibrant environment where individuals can learn, grow and thrive. To that end, we are committed to fostering a workplace culture where all employees are equally included, valued, and supported.